As May half term looms and many families head off on holiday, we’ve asked our friends at Mark Warner for their expert advice on those seemingly little things that can be life-savers when you’re traveling with kids. These are their top 10 tips. • Don’t think that you have to fly somewhere exotic to have a ‘proper’ holiday – long-haul can be more trouble than it’s worth with younger kids, especially if it’s for a week. • Try to pack a few days in advance to avoid last-minute panics, and work from a list. • Carry toothbrushes and -paste, spare nappies, formula, swimwear and a change of clothes in your hand luggage. If your baggage goes astray or is delayed, you’ll at least have the basics until it catches up with you. • Think about how to make the whole airport experience less stressful – take a taxi instead of driving, or splash out on a Meet & Greet parking service and/or access to a family-friendly airport lounge. Being frazzled is never a fun way to start a holiday. • Make your time in the air more pleasant by packing gadgets, sticker books and compact, creative items such as flat-packs of multi-coloured Plasticine, depending on your kids’ age. Anything that keeps young brains and fingers busy will help the time pass more quickly. • Pack healthy, non-messy snacks to avoid spending a fortune on food at the airport or on the plane – or for times when the free food on planes is spurned by your kids. Suitable items include little boxes of raisins (perfect for occupying little hands), fruit leathers and popcorn. • Remember that small kids react badly to intense heat – schedule naps or childcare to coincide with the hottest times of day. • Use sunscreen even when it’s not sunny – the weather can be deceptive. 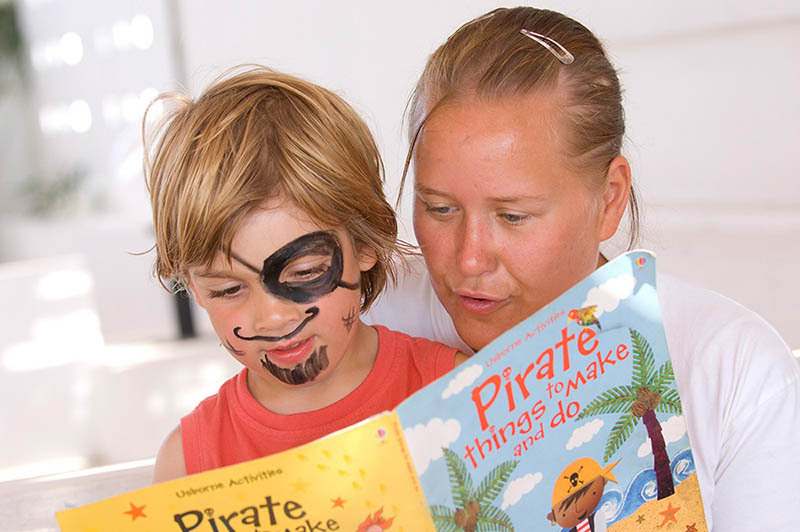 • Check whether a crèche or kids’ club needs booking ahead if it’s integral to your holiday. Additionally, if you are planning to take advantage of any activities such as sailing or tennis tuition, make sure to arrange your childcare times around that. • Pack prescription medications in carry-on luggage and bring photocopies of prescriptions in case you lose or run out of medication while away (note down the generic name of your prescription medicine in case it has a different brand name overseas). Also bring spare glasses for any wearers – they’re easily lost or broken. Did you know that we’re offering LittleBird members 5% off any package to the Sea Garden Beach Resort, Bodrium Turkey? 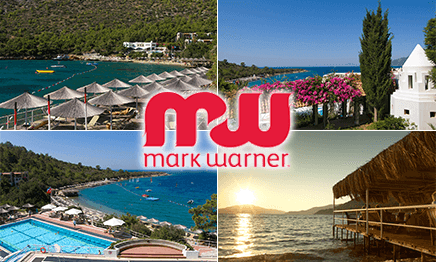 Give you and your family first class luxury with a Mark Warner All Inclusive holiday to Turkey. Enjoy a week or two, where everything from entertainment to childcare to food and drink is provided for you. Save 5% which could be up to £320pp, and enjoy the ultimate relaxation. Perfect to make those all-important family memories! Pop over to the LittleBird website for more information.